In Jan. 8, 2010, the infamous "Double Rainbow" clip appeared on YouTube, documenting a hysterical reaction to a natural phenomenon. For about seven months it languished, barely seen--until Jimmy Kimmel tweeted a link to his followers, proclaiming it the "funniest video in the world." Views today sit at well over 37 million. Targeted-network exposure (i.e., telling the right things to the right people) can help any video go viral. And Alex Debelov, 25, and Vladimir Gurgov, 26, founders of San Francisco-based Virool, have latched on to this concept as a way to help brands. They have developed a self-serve, social video advertising platform with campaigns starting at $10, depending on the reach and medium selected. So far 12,000 publishers have signed on, including independent websites, blogs and mobile-game and Facebook-app developers such as WordPress and Zynga. They're lured by Virool's analysis of online user behavior, such as Facebook activity and content shared, which pinpoints where and what types of videos will be promoted effectively. "Good content matters, but viral videos don't become viral by themselves," Debelov asserts. "Even more important is the discovery and distribution. You have to find the audience that has an affinity for a particular advertiser's brand of content." 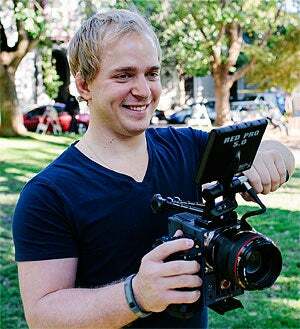 Virool grew out of Crelligence Media, a contest platform where brands could crowdsource the creation of ad videos, which Debelov started in 2008 while a student at Babson College. "We started with the thesis that people want to watch videos, not video ads … and there was no company that specialized in promoting them," he says. When they launched Virool in 2011 Debelov and Gurgov focused on pitching to agencies and big brands like Sony and Intel. In 2012 they cast their net wider, and more than 1,000 advertisers signed on within three months. (Now they bring in 1,000 new advertisers daily.) Debelov and Gurgov were accepted into the prestigious Y Combinator accelerator in summer 2012. Investors are big fans. As of July 2013 Virool had raised $6.6 million from notables like Draper Fisher Jurvetson, Gmail creator Paul Buchheit and Lady Gaga's manager, Troy Carter. The company now has 100,000 advertisers posting 300 videos daily, more than 40 million viewers every month and 2013 revenue projections of $12 million to $15 million. The biggest challenge these days is hiring the best and the brightest--and quickly. "We're up to 12 and growing, and we're going after Google employees with our perks," Debelov says. His trump card: In 2014 Virool's top employee will receive a Virgin Galactic ticket to outer space.